Want to know what’s hot in the art world? The best place to find out is to look at what new and emerging artists are up to. That’s why Birmingham Museum & Art Gallery, the Barber Institute of Fine Arts, Grand Union and Wolverhampton Art Gallery have come together to present New Art West Midlands, an exhibition across four galleries showcasing the talent and new work of emerging artists in the West Midlands. 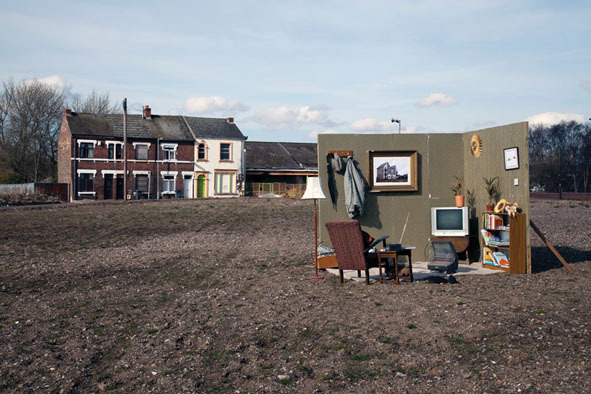 It’s the idea of Turning Point West Midlands, the network which supports visual artists. Recent graduates from the region’s five art schools – Birmingham City University, University of Worcester, Coventry University, University of Wolverhampton and Staffordshire University – were invited to apply, and the best 24 have been selected to exhibit their work by a panel of distinguished academics and artists. It’s the largest project of its type in England, a rare chance for a young artist to exhibit in a nationally important venue. With painting, installation, film, printing, photography, sculpture and performance all on show, New Art West Midlands has plenty for audiences to see. What’s more, much of the work is on sale – a great place for budding collectors to pick up affordable pieces of art. To read more about New Art West Midlands including interviews with the artists and curators see our special edition here…. This entry was posted in Art, Birmingham and tagged Area Culture Guide, art in Wolverhampton, Birmingham Museum and Art Gallery, Exhibitions in Birmingham, Exhibitions in Wolverhampton, New Art West Midlands, Wolverhampton Art Gallery. Bookmark the permalink.